The latest version (6.2) of Google Camera began rolling out earlier this week with a handful of visual changes. The Camera is available including a dark mode for settings and also live mode transitions. 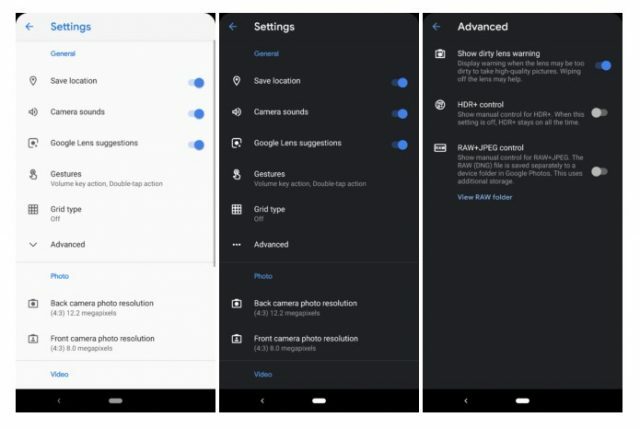 Google’s Camera application for the Pixels received an update a couple of days ago from version 6.1 to 6.2 (Latest Version). A quick look at the app left us wondering whether anything was new at all. The dark mode setting is included on the Google Camera. Dark Mode Setting in Google Camera! The Camera app’s interface has always been focused on black. When someone switched to settings, she/he always hit by a jarring white screen. Now, the settings’ look follows your devices. Latest update: My Pixel 2 XL is on Android Q (Latest Version of Android Operating System) with the light theme enabled. It will provide Dark Mode feature to enable Dark Mode and getting its benefits. New animated transitions feature has also added on the Google Camera. The user can use Animation during Photo or Video Recording Screen. With the Dark Mode, Animation Transitions will also work. By using the Latest version of Google Camera 6.2, Customer will also get Flash icon for the selfie flash. If the desired device has Flash for the Selfie Camera can enjoy these benefits. How to enable dark mode on Chrome for Windows 10?